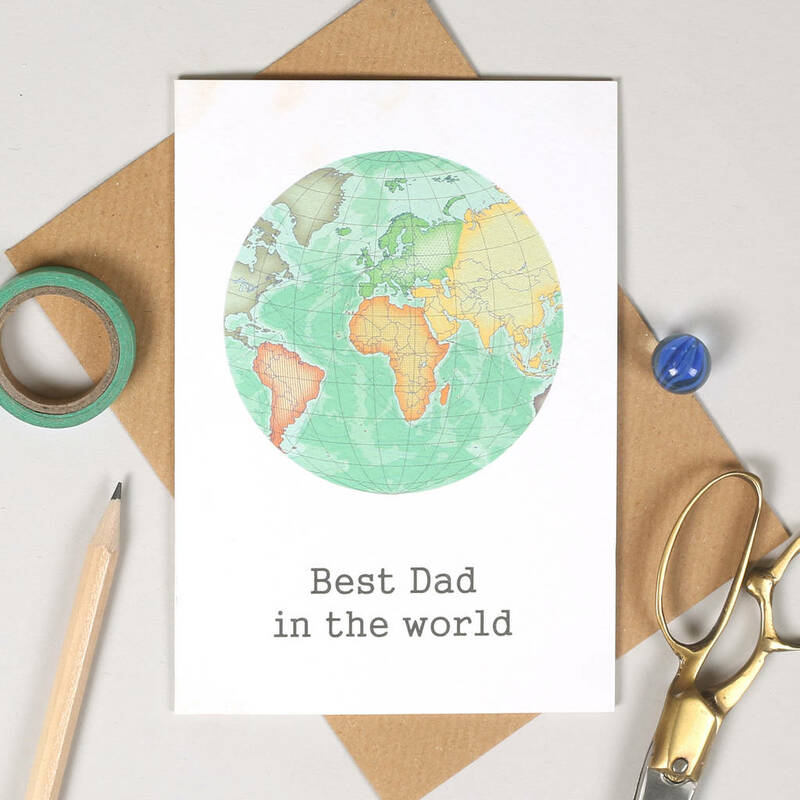 A personalised best dad Fathers day card with a world globe map illustration and 'Best Dad in the world' printed beneath it. 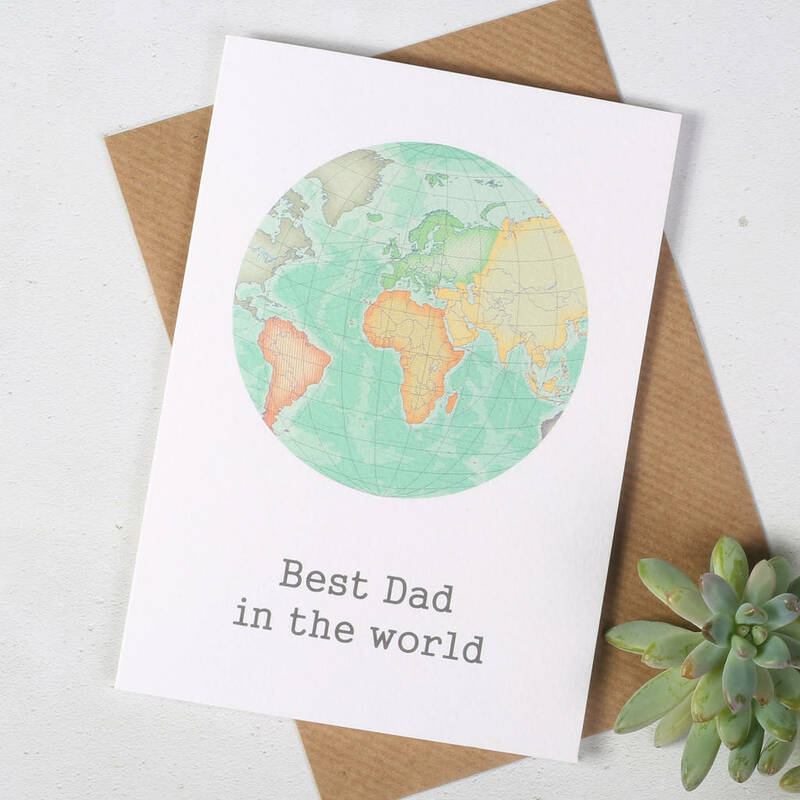 A classically simple yet stylish card for that special dad on fathers day. 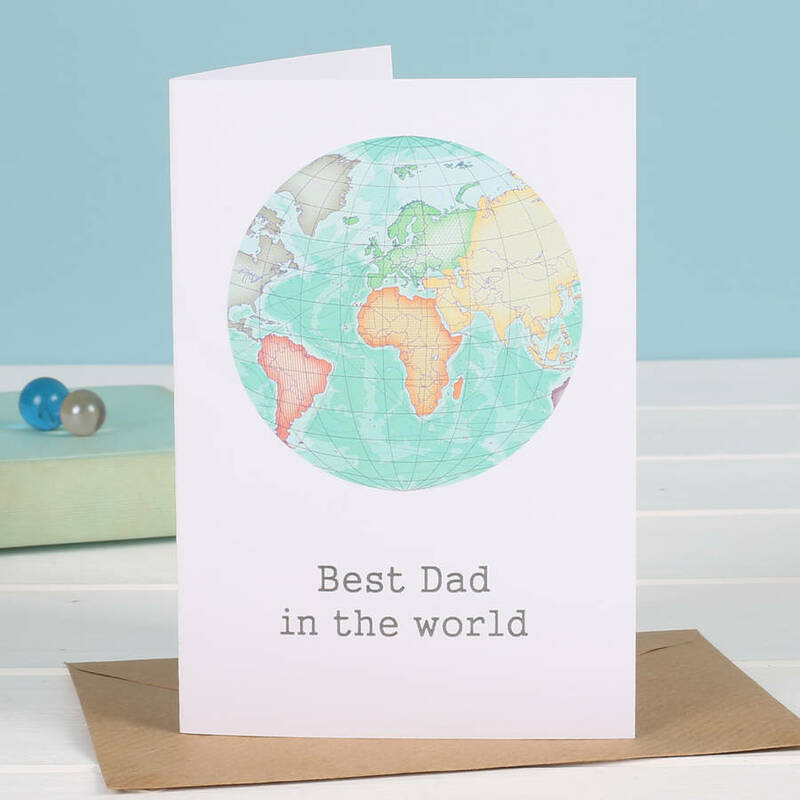 Supplied with a natural brown envelope.